Want to be in the show-stoppers league? 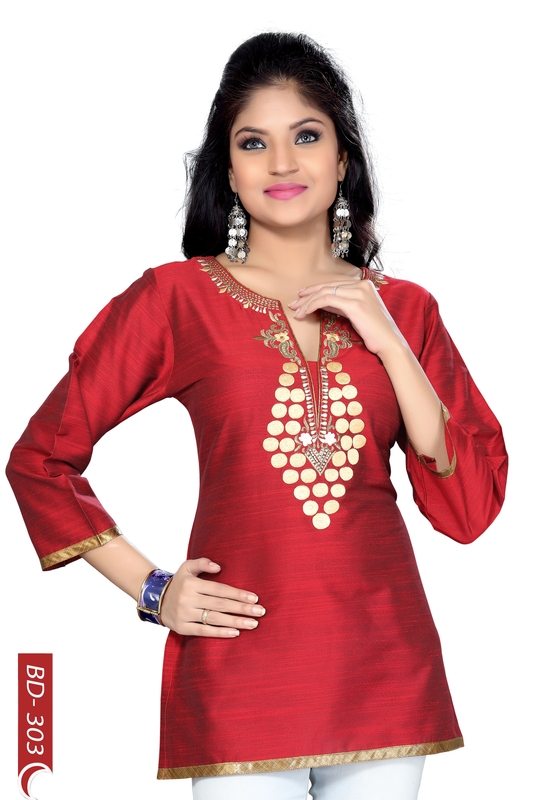 Your sure-shot ticket to popularity is this winsome red tunic top by Snehal Creations. The simple round neck of the tunic comes with extravagant embroidery design in golden and beige. Simple golden taping provides adequate finishing at the cuffs and at the base. 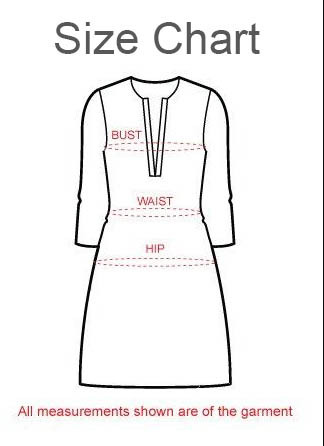 This full sleeves kurti is tailored out of premier raw silk and is sure to stand the test of time. Team it up with contrast clothing and move out to flaunt that confidence in the open. Love red, love yourself this season.